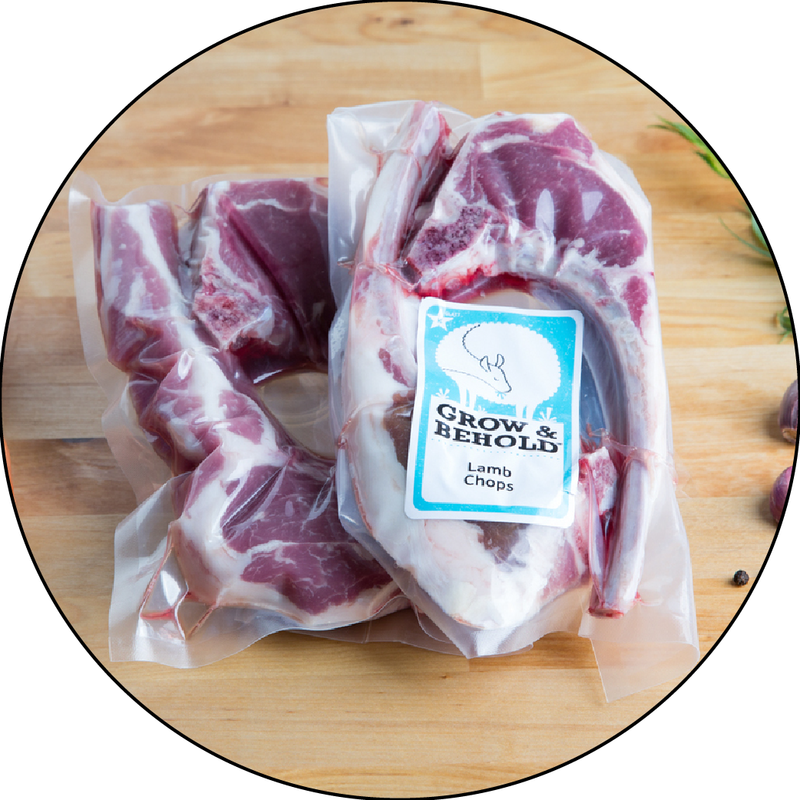 A favorite of both customers and staff, our pastured lamb chops are sure to please. Less gamey and sweeter than conventional lamb, with a tender, juicy morsel of eye meat that you'll want to eat right off the bone. Chops are cut ~1" thick and are NOT Frenched. (If you would like Frenched Lamb Chops, we recommend our Lollipop Chops). Broil, pan-sear or grill over high heat to medium rare. We thoroughly enjoy these lamb chops. I gave the lamb chops 4 stars because the cost is extreme and there is way more fat than meat on the bone. These lamb chops are the best. I will be ordering them again in the near future.